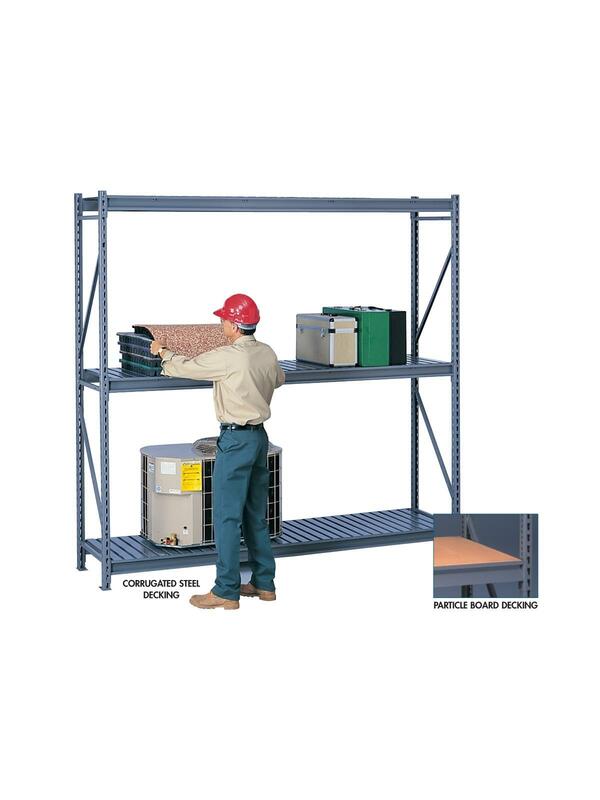 Tennsco Bulk Storage Racks | Morrison Industrial Equipment Co. Bulk storage racks are an economical solution for storing heavy, bulky items. Rugged 14 ga. welded upright frames and beams support up to 3800 lbs., evenly distributed. Features adjustable shelves on 2" increments for maximum use of vertical space. Assembly is quick and easy -- beams attach to the frames in seconds without tools. Rolled formed steel beams provide support at front and rear of shelf edges. Additional support is provided by front-to-back center braces. Racks are available in heights of 72", 96" and 120"; widths of 48", 72" and 96" and depths of 24", 36" and 48". Select particleboard decking or corrugated steel decking. Starter units and add-on units have 3 shelf levels. Additional shelf levels are available to increase capacity. Begin each row of shelving with a starter and use add-on units to complete row. Medium Gray powder-coated paint finish. Note -- bulk storage racks should be hand loaded only. FOB Shipping Point. Starter Unit Includes...2 upright frames and 3 shelf levels. Add-On Units Includes...1 upright frame and 3 shelf levels. 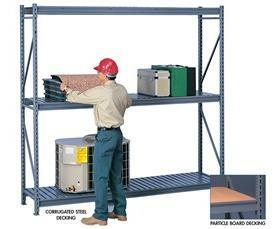 See Related Items tab for Tennsco Bulk Storage Racks - Additional Levels. 72 x 48 x 96"72 48 96"